This is an awesome story but for you hockey romance lovers this isn't really a "hockey romance". Linden Meadows is a woman who loves her family fiercely and when she sees her brother's hockey coach chewing him out and benching him she steps in and gives the coach a piece of her mind! The last thing Jason Taylor needs is some irate hockey mom yelling at him for doing what needs to be done. This particular woman doesn't seem old enough to have a kid on the team so what's up with her? These two meet again when Jason is on patrol at his real job of working for the Bridgeland PD. It would seem that not only does she have a quick temper but Linden also has a lead foot! As these two really get to know each other, the attraction between grows intense and strong. There can never be a future for Jason and Linden though. He's only in Bridgeland for a short time as a career stepping stone and she has deep roots in this little town. Not to mention a mother, brother, and small son who all count on her! This is a very good read and a book I definitely recommend. This is the 3rd book in the Pilots Hockey series. This book can be read as a standalone novel. For reader enjoyment and understanding, please read in the order intended. Linden AKA "Indie" has a lot on her plate. When she meets Jason at her brothers hockey game, she is not impressed. Later, they meet again, and again, since this small town seems to be throwing them together. Jason has noticed how hot Indie is. He just has to make her see how sincere he is in pursuing her. There are still secrets that both are holding back. The sparks between them seem to be fanning the flame and its only a matter of time.... I loved this story! I laughed. I cried and I FELT. I love when a book or series makes me feel. This is one of the best I have read in a while. I cannot wait to read the next installment in the series. ***This ARC copy was given by Netgalley and its publishers in exchange for an honest review. This is the third book in the pilot hockey series, Indie is a single young mother and Jason is a police office from Detroit. This a good story about a young mother trying to learn to trust again after being hurt by the guy who got her pregnant and the town who left her. With the help of her family and her will to move on an give a good life to her son. Jason is trying to get experience in a small town so he can move back to Detroit and also coaches the kcal hockey team. Watching him get false to indie and her son and there relation grow and the obstacles are true. Sophia Henry wrote another admirable read. My introduction to Sophia Henry and her Pilots series was through Power Play. Gaby and Landon had a meaty story but there was a disconnect for me. So I decided to try again with Interference. Ms. Henry is consistent in her willingness to tackle subjects that are painful. From the beginning she delivers that one, two punch. Complex people facing their demons and working to overcome them. Jason has baggage that has followed him into adulthood. From abandonment and trust issues, to an attraction that pulls the scab off a partially healed wound. Linden has worked to become a responsible young woman. An act of rebellion in her teens left her with more responsibility than she expected and the shame of disappointment. 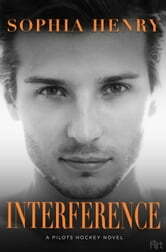 Interference redeemed Sophia Henry in my eyes. Sympathy, empathy and hope are the stepping stones to an amazing and inspirational story.